Today is the birthday (1367) of Richard II, also known as Richard of Bordeaux, king of England from 1377 until he was deposed on 30 September 1399. 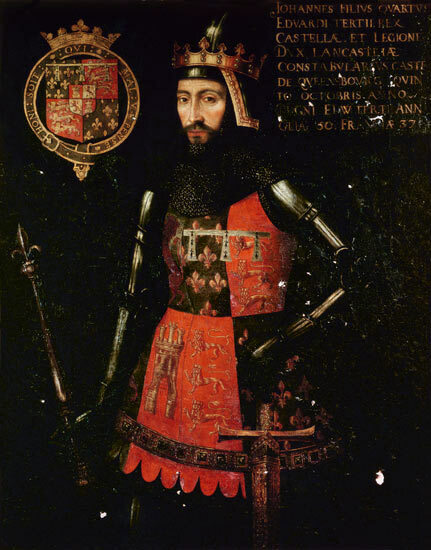 Richard, a son of Edward, the Black Prince, was born during the reign of his grandfather, Edward III. Richard was the younger brother of Edward of Angoulême. Upon the death of this elder brother, Richard—at four years of age—became second in line to the throne after his father. Then, upon the death of Richard’s father prior to the death of Edward III, Richard, by primogeniture, became the heir apparent to the throne. 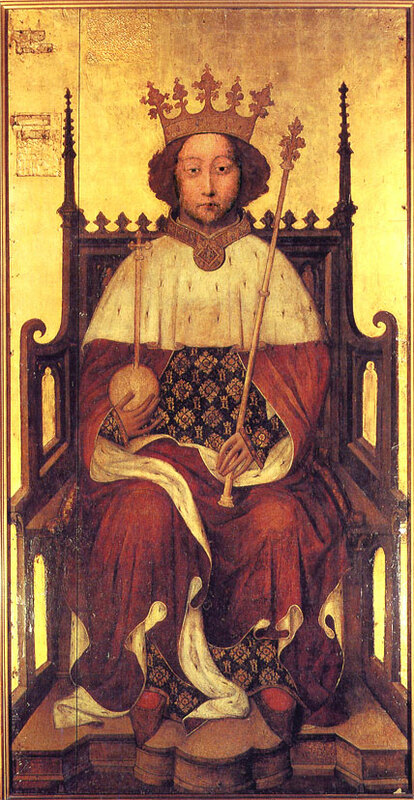 With Edward III’s death the following year, Richard succeeded to the throne at the age of ten. During Richard’s first years as king, government was in the hands of a series of councils. Most of the aristocracy preferred this to a regency led by the king’s uncle, John of Gaunt, yet Gaunt remained highly influential. 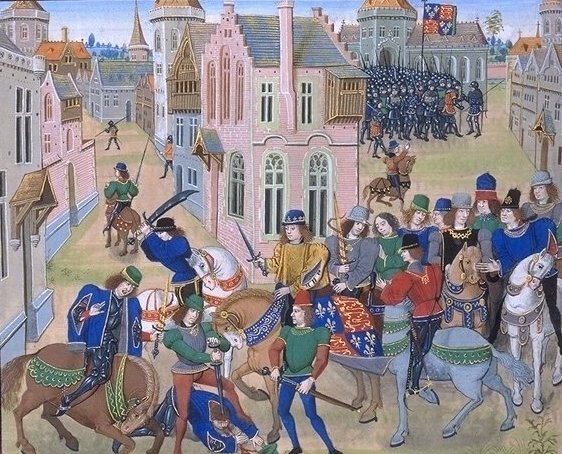 The first major challenge of the reign was the Peasants’ Revolt in 1381. 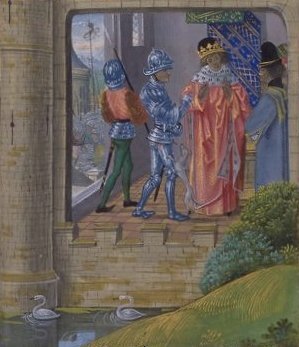 (see http://www.bookofdaystales.com/peasants-revolt/ ) The young king played a major part in the successful suppression (through false promises and brutality) of this crisis. 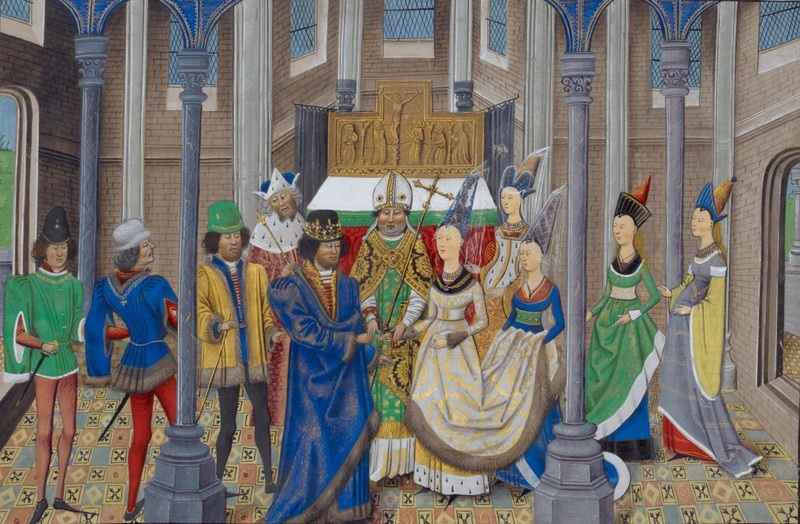 In the following years, however, the king’s dependence on a small number of courtiers caused discontent among the influential, and in 1387 control of government was taken over by a group of aristocrats known as the Lords Appellant. By 1389 Richard (aged 22) had regained control, and for the next eight years governed in relative harmony with his former opponents. In 1397, Richard took his revenge on the Appellants, most of whom were executed or exiled (without trial). The next two years have been described by historians as Richard’s “tyranny.” In 1399, after John of Gaunt died, the king disinherited Gaunt’s son, Henry of Bolingbroke, who had previously been exiled. Henry invaded England in June 1399 with a small force that quickly grew in numbers. Claiming initially that his goal was only to reclaim his patrimony, it soon became clear that he intended to take the throne for himself. Meeting little resistance, Bolingbroke deposed Richard and had himself crowned as King Henry IV. 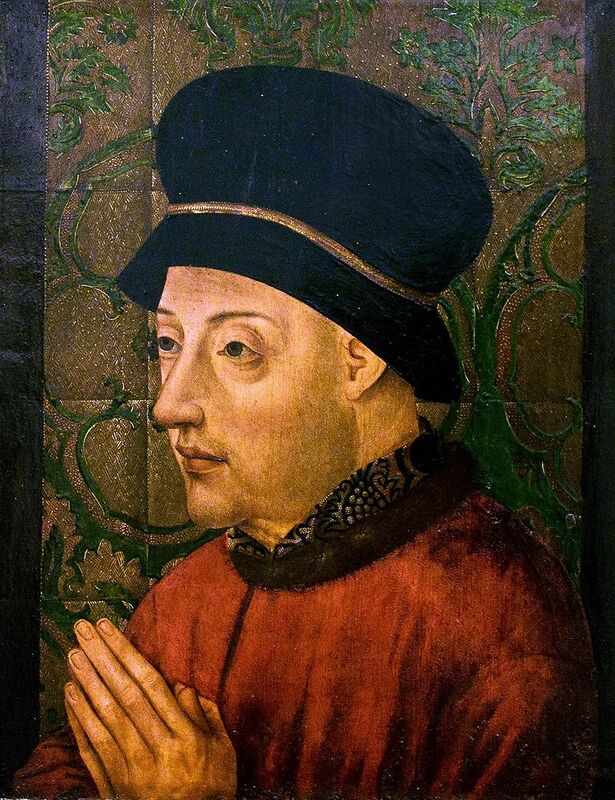 Richard died in captivity in February 1400. He is thought to have been starved to death, though questions remain regarding his final fate. Richard’s posthumous reputation has to a large extent been shaped by Shakespeare, whose play Richard II portrays Richard’s misrule and his deposition by Bolingbroke as responsible for the 15th century Wars of the Roses. Modern historians do not accept this interpretation, however, but neither do they exonerate Richard from responsibility for his own deposition. Most scholars agree that, even though his policies were not unprecedented or entirely unrealistic, the way in which he carried them out was unacceptable to the political establishment, and this led to his downfall. Fine words, and a fair summation of the fate of Medieval kings, leading me to express my sentiments bluntly: I don’t give a toss about the lives of these self-indulgent, indolent thugs. Medieval English history is replete with the ruthless conniving of this petty few, fighting and killing one another for supremacy and riches. What of the vast majority of the population who labored as slaves for masters who took everything from them and had them killed if they rebelled, or used them as cannon fodder in their wars of appropriation and enrichment? I am opposed to warfare on principle, but at least modern warfare has a veneer of justification in moral principles (extremely thin veneer). Medieval warfare had no such justification. It was all about land and power, and nothing else. So . . . Richard II was hard done by? Too [expletive deleted] bad !!! I have no sympathy or time to waste on lamenting his fate. Let us concern ourselves more with the lives of the peasants and serfs whose names go mostly unrecorded, but whose crushing burden of labor kept the precious few nobles rich and in power. Not peasant fare !! There are a few things to note. 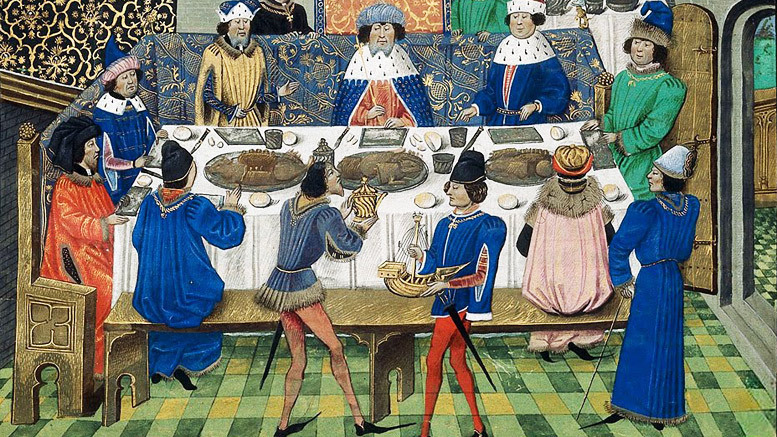 First, the feast is heavily laden with roast meats of all kinds – many more types of meat than are customary in the modern kitchen. Second, there is no mention of sauces, but they are all amply attested in contemporary records. Third, each course had its “sotelte.” A subtlety was a magnificent show piece. 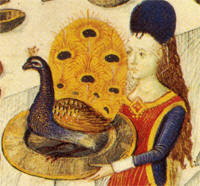 They are not detailed here, but elsewhere we read of peacocks roasted and served with their tail feathers, or hedgehogs elaborately carved from sugar paste. Take Capons and rost hem right hoot þat þey be not half y nouhz and hewe hem to gobettes and cast hem in a pot, do þerto clene broth, seeþ hem þat þey be tendre. take brede and þe self broth and drawe it up yferer [together], take strong Powdour and Safroun and Salt and cast þer to. take ayrenn [eggs] and seeþ hem harde. take out the zolkes and hewe the whyte þerinne, take the Pot fro þe fyre and cast the whyte þerinne. messe the disshes þerwith and lay the zolkes hool and flour it with clowes. Easy enough to understand, I hope. In simple language – roast the capons halfway, then chop them in pieces and simmer them in broth until tender. Remove the meat from the broth and keep it warm. Thicken the broth with breadcrumbs (other recipes call for rice flour), and season it with “strong powder,” saffron and salt. Strong powder was variable, but a mix of pepper and ginger (or cinnamon) was common. Hard boil some eggs, remove the yolks whole, and mince the whites. Mix the whites into the sauce. Serve the capon with the sauce, garnished with whole egg yolks and sprinkled with powdered cloves. Nothing to it.